February 5th is a very important day in the Fuji household. 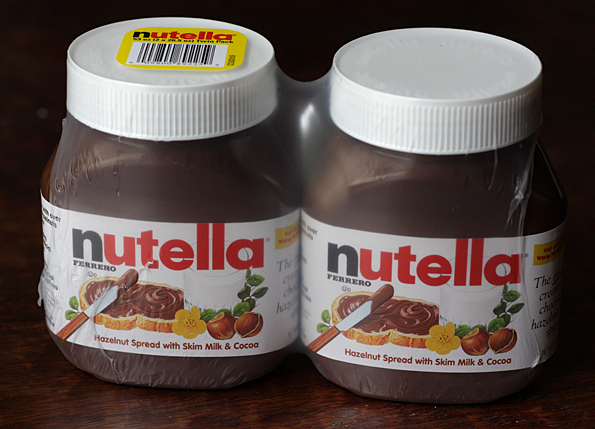 No, it’s not anyone’s birthday or our anniversary–it’s World Nutella Day! Thanks to Sara of Ms. Adventures in Italy and Michelle of Bleeding Espresso, Nutella was finally given its own day of celebration four years ago. I asked Mr. Fuji to pick up some provisions during a recent trip to Costco in preparation for our celebrations. Hey, I needed to be prepared. I didn’t know how much Nutella I was going to need, and heaven forbid we run out! I always look forward to opening a new jar. Is it just me, or is dipping into that smooth surface of a brand new jar supremely satisfying? We are very serious about our Nutella around here. I have standards to uphold and Squirrel to please. 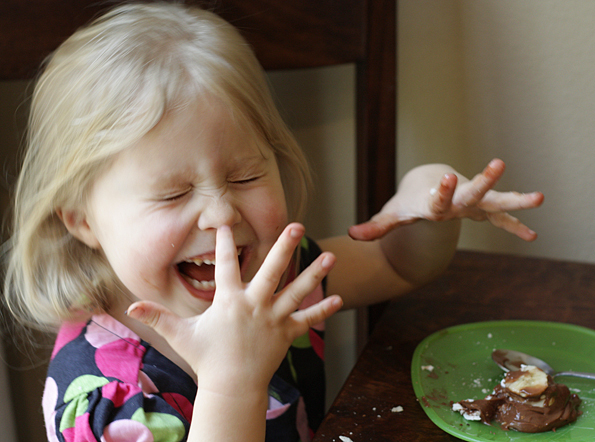 If you’ve been reading LFM for a while, you already know how much she loves her Nutella. I’ve been brainstorming ideas for my contribution to the Nutella recipe world for a while, coming up with some interesting ones, but nothing that was truly worthy of World Nutella Day. Finally, about a week ago inspiration finally struck, and I whipped up a pavlova with nutella mousse. A pavlova is a meringue-based dessert that has disputed origins (both Australia and New Zealand claim it). A traditional pavlova has a pillowy meringue base that is topped with whipped cream and fresh fruit. The meringue is crispy on the outside but still soft and gooey on the inside. One thing I love about pavlovas are that the components can be made several hours ahead and then assembled shortly before serving. This makes them a fabulous dessert for a dinner party when you need to be worrying about other dishes beforehand. For my pavlovas, I used the traditional meringue-base (adapted from this Gourmet magazine recipe), making 6 medium-sized meringues. Then I made a simple mousse using Nutella, mascarpone cheese, and whole milk. Whipping them together for several minutes produced a rich and silky smooth mousse. The pavlovas turned out to be a dessert that I am confident in labeling as one of my best creations to date. Delicate meringue pillows topped with rich silky Nutella mousse, and studded with thinly sliced bananas and dark dark chocolate curls. So good I could cry. I only have one problem—how am I going to top this next year? 1. 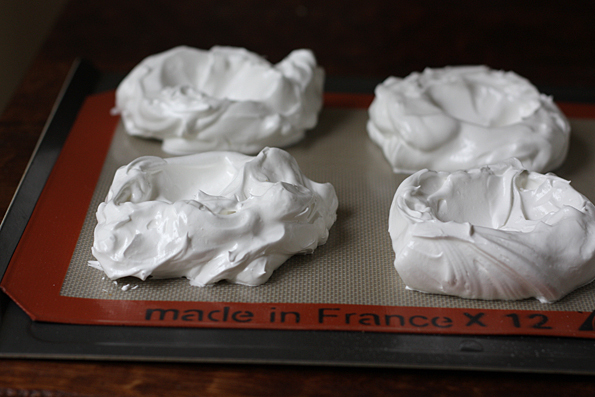 Make meringue: Preheat the oven to 350 degrees Fahrenheit with the rack in the middle. Line a baking sheet with parchment paper or a silicone baking mat. 2. Whisk together the superfine sugar and the cornstarch in a small bowl. In a separate large mixing bowl, beat the egg whites with the pinch of salt using an electric mixer at medium speed until they hold soft peaks. Add the water (the whites will loosten when you do this) and then beat the whites until they hold soft peaks again. Increase the mixer speed to medium-high and beat in the sugar mixture 1 tablespoon at a time. When all the sugar has been added, beat for 1 additional minute. 3. Add the vinegar and beat the meringue at a high speed until it is glossy and holds stiff peaks. With a large spoon, drop the meringue onto the prepared baking sheet in 6 mounds (or 12 small mounds), spaced 2 inches apart. 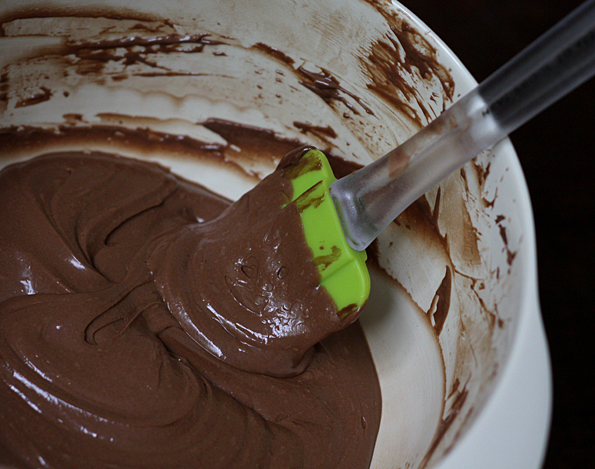 Using the back of the spoon, make a depression in the center of each mound (the depression is for the mousse). 4. Place the meringues in the oven. Immediately reduce the temperature to 300 degrees Fahrenheit. Bake until the meringues are dry on the outside (but centers remain soft) and are a pale straw color, and lift easily from the parchment, about 45 minutes. 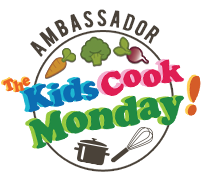 Turn the oven off and prop the door open slightly with a wooden spoon. Leave the meringue in the oven to cool for 1 hour. 5. 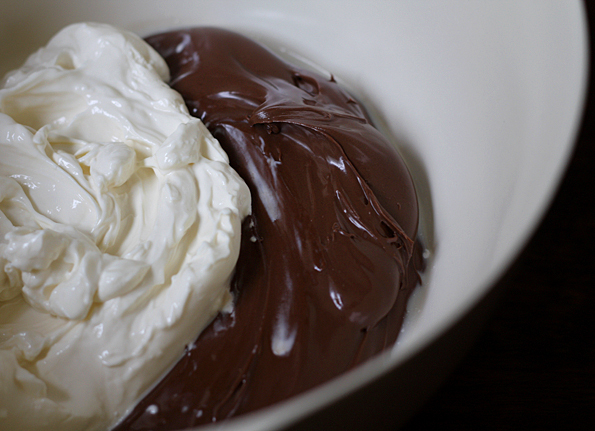 Make the Nutella mousse while the meringues bake: Combine the Nutella, mascarpone cheese, and milk in a large bowl. Using an electric mixer, beat together the ingredients on medium-high speed until the mousse lightens and is smooth and creamy, about 2 minutes. 6. Assemble Pavlova: Very carefully remove the meringues from the parchment paper (I find it easier to try and peel the paper from the back of the meringues rather than trying to lift the meringues from the paper). 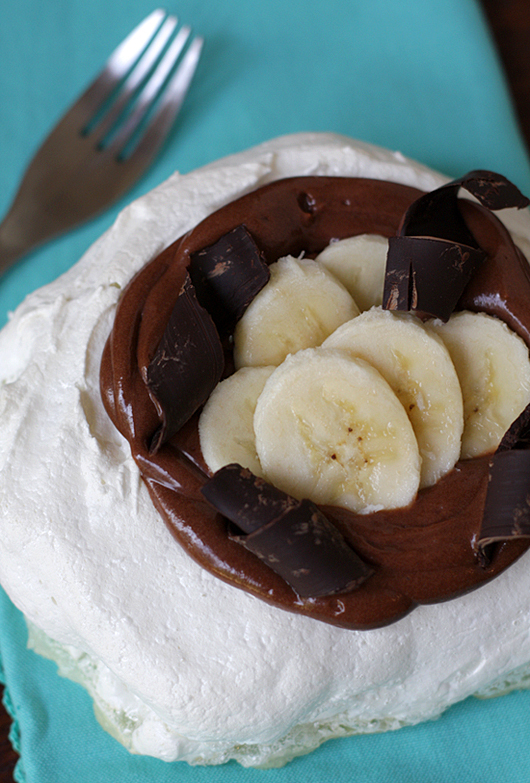 Spoon the Nutella mousse into the meringue and add thinly sliced bananas and chocolate curls on top. * For the best results, keep the oven door closed as much as possible during baking. The meringues can be made 2 days ahead and frozen, wrapped well in plastic. Thaw before serving. Happy World Nutella Day! I’m making Nutella Poundcake but off to a late start. The pics of your daughter are so freakin adorable and what perfect looking Pavlova. Great way to celebrate! i LOVE pavlova. *LOVE*. Actually LOVE doesn’t even cut it, I am passionately obsessed about it and if I could marry it, I would (and even blogged about that marriage!). Anyway, I also love nutella (in little letters, not capitals) but I have never thought of combining the two. These just look To. Die. For. This stuff is certifiable, amazing. Wonderful creation. Squirrel makes it look even better, but it does very well on its own. thanks for sharing! Mouth watering goodness! I love your little poppet. She’s adorable. :) Mine always have her brioche with nutella spread for tea time. :) To celebrate Nutella Day, I made Nutella Filled Steam Buns – East meets West Bao. :) It’s definitely better than the traditional version. LOL! Going “nuts” for Nutella! The pavlova here looks like “melt in your mouth” goodness! AMAZING Rachael and I haven’t even made it yet! But you better believe I will! You are so talented! Hey one of these days you come to visit your mom you guys should invite me over ( haha shameless, I know) so that our girls can play together and we can visit again! Wow, that looks GREAT!!! Thanks for sharing it :D I love Nutella. What a wonderful recipe. A pavlova for itself is a delicious dessert and combined with this ingredients sounds like a flavor party. 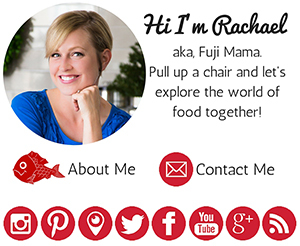 Awesome creation Rachael! I love a good pavlova but combined with nutella mousse? OMG!!! I had no idea it was world Nutella day. 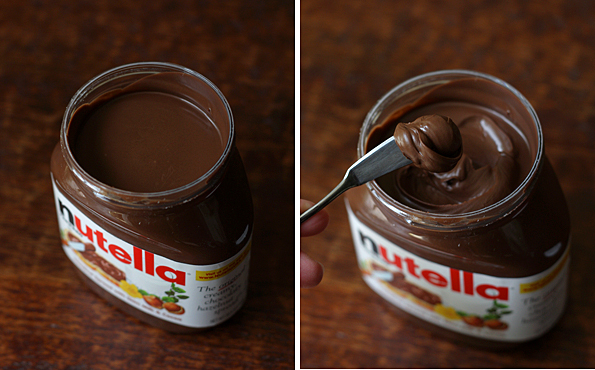 I am going to go make myself some nutella goodies right now. And that mousse looks divine by the way. If only I had some mascarpone on me. 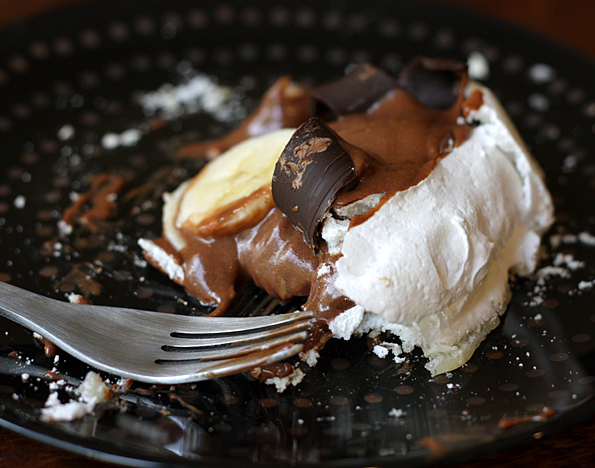 Goodness…Pavlova and Nutella. I’ve never heard of that…I wonder…is it really sweet?? 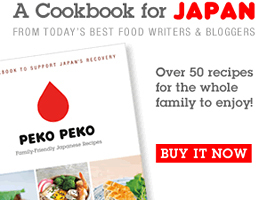 @Kelly Azuma– I love hearing that you’ve never heard of the combo! I hadn’t either…I’ve seen lots of fruit combos, so had fun inventing the Nutella mousse to go it! The pavlova itself isn’t overly sweet, but the mousse is pretty rich. The mascarpone cheese helps to cut down on the sweetness, and you could always half the amount and just use more fruit! I did not know there was a Nutella day! 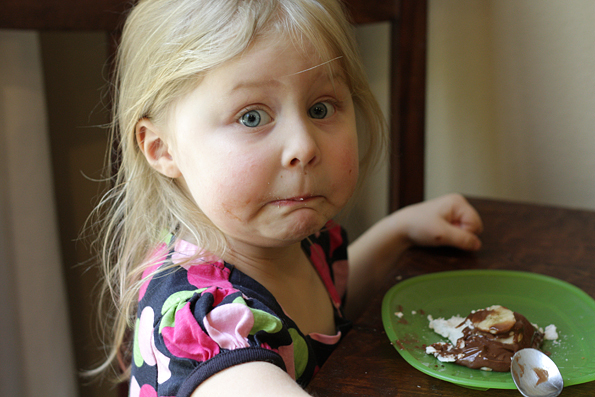 That said, I made crepes again today to share with friends’ children… and they all had one with Nutella. You recipe looks delicious but I do like my pavlovas with fruits rather than chocolate… On the other hand, I am sure my children (and husband) would fall for your creation! Having been privileged to sample the inaugural batch, all I can say is that these are awesome beyond belief. Fuji Daughter, I totally think we need to invite Katie over so the girls can play and WE can all eat Nutella Pavlova. How about it??? Pavlova with nutella – who would have thunk it :) Now, while you know what a disaster I can be in the kitchen – pavlovas are one thing I do do well. So well in fact, that as a kid, whenever my parents were having people around for dinner or a bbq, mum would always ask me to whip up a pavlova for her. I’m going to give your nutella version a go! That first picture of Squirrel is priceless. Pavlova topped with cream/fruit is one of my all-time favorites, and this version looks perfect for a Valentine’s dessert . I am going to have to whip this up for my husband. Thank you, thank you thank you!!!!!!!!! I can’t wait. I just read on another blog about nutella day…and i have to admit her recipe was as decadent as yours. Enjoy those they look amazing! LFM – you’ve done us Aussies proud!! I’m going to make this for our friends. We love our pavs, but I’ve never had one like this. You’re going to make me very popular!! Thank you. And thanks for the uber-cute photos of your little Nutella queen! Fantastic idea! My son and I celebrated by eating it straight out of the Costco sized jar. I agree- I LOVE the new jar creaminess! When you get towards the end and the bottom gets harder….still tates good but not quite as mouthwatering as the fresh stuff. I was sure i was following ur blog rite from day one,beats me how it aint showing in the reader…thought u were busy with life…have to check now if my email went thru to u too….n catch up on all i missed here…. Hullo,Ola, Hola….u are an award winner more often than we know and this time there’s a very different award for u …jus from me….an award specially to fire up the imagination of creative writers in whateve which way…. I had mine fired up a bit too in the company of fantastic writers like ya n now its ur turn to take off from my humble beginings…take ur time but fire anyway…hop on the link below to see what am talking about and do hope u enjoy it as muc as i did…beleive i wanted to run away from it first but when i began…was thrilled and had so much fun and was really glad for it…..
Ooh delish! Banana must be real happy with Nutella!! Very innovative combination! Your little cutie sure seems to think so! I recently wrote about Pavlovas too. How beautiful! This is such an elegant dessert and it looks delicious! I especially love the photos of your daughter- absolutely precious! You know the way to my heart! sounds and looks amazing! Oh, delicious! Pavlova with nutella and banana??? Oh, God!! Love pavlovas…..and my daughter loves meringues and nutella so….this may work a treat! I also just made pavlovas….. It is dangerous!!!!! I bet this is the sanstion of lying on an heaveny cloud! Now this is a dessert I can’t wait to make for my 5 and 2 year-old grandchildren! 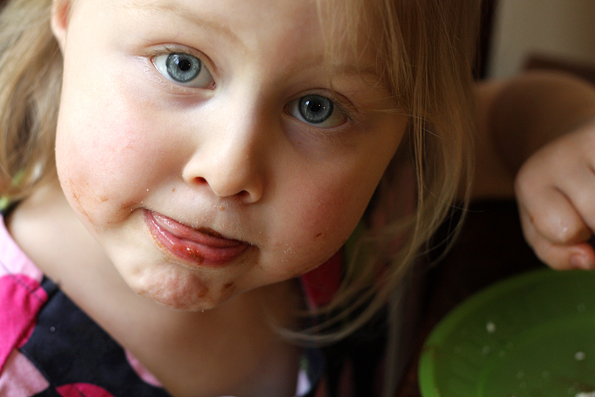 We all love Nutella–but this’ll be a hit for MeMe (that’s me!). I love Nutella, wish I could eat it! I make a decent homemade, sugarless version but it doesn’t quite compare!